Ever want to know what podcasts your friends are listening to? 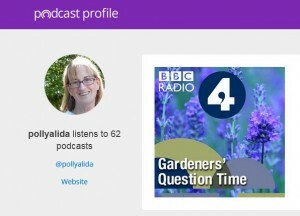 Or share your own favorites?Â Podcast Profile is a simple way create a nice list of your podcasts, complete with cover art and links back to the podcasts themselves. Lists can be arranged in any order you like and you can write notes about each one too, telling people why you like a particular podcast or share a favorite episode. Right now the profile only appears on the Podcast Profile website. But it sounds like they developers, who hacked this together at a recent weekend hackathon, are planning to develop it further. Upload your playlist file. Wait a few minutes and you’ll see all your podcasts. Manage Playlists: Write annotations and hide selected podcasts. Reorder: Drag and drop to rearrange. A bit tedious. Don’t forget to save. Create a lists of podcasts about your town, school or community. For students, create a list of podcasts related to school projects or general topics like current news, environment, science, etc. Students could curate a list for their school.